Worker is a performance-based installation that includes sculptural elements, video and audio, creating a powerful visual and aural experience. 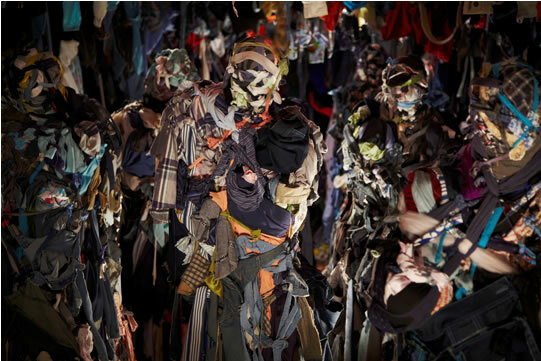 A group of anthropomorphic life-size soft sculptures are positioned within an undulating organic and visceral environment, created by a mass of used thrift-store and abandoned clothing stacked and layered from floor to ceiling. A cacophonous hum of buzzing bees and chirping birds make up the soundtrack, which is layered against the clattering of sewing machines in the gallery that produce dissonant and competing sounds. Worker pays homage to the artists’ mothers and their innumerable anonymous counterparts who worked in a textile factory in the late 1950s while simultaneously acknowledging Los Angeles garment workers and their collective action to change sweatshop conditions in Los Angeles factories. Worker draws attention to the alienation of contemporary laborers, their invisibility within the process of mass production and the precarious nature of their employment made infinitely worse by the economic downturn. Both organic and industrial, the soundscape creates an enveloping and all-consuming experience providing a charged and meditative space. 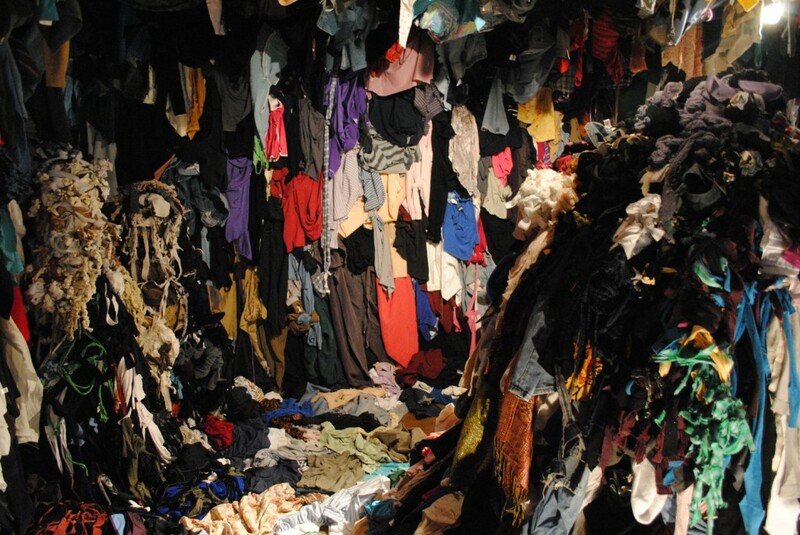 On opening night, an anthropomorphic sculpture will be created by the artists, Pitzer College students and local participants dressed in repurposed clothes, and material used in the installation symbolically representing the efforts of unseen laborers. Opening Reception: January 27, 5-8 p.m.
Panel Discussion: February 10, 2011, 1:15 p.m.